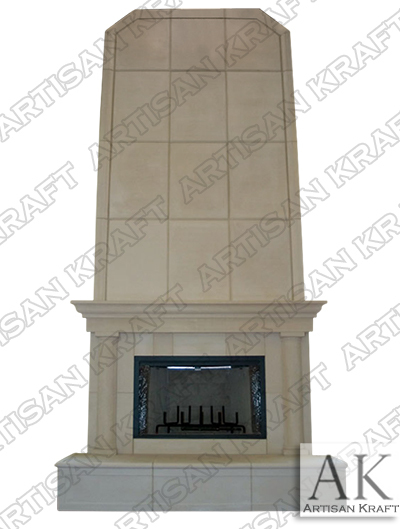 The Milwaukee Precast Overmantel Fireplace can be custom crafted in either GFRC or natural stone. A large cast stone panels are the primary feature here. Plain Tuscan columns support the mantel shelf on the raised hearth. Call for details on limestone wall cladding for exterior and interior use.